Patients with incurable neurological disorders, who lost hope can now access treatment through alternative means. The revolutionary stem cell therapy, which draws from the combination of new developments in medicine and rehabilitation treatment like physio, occupational and speech therapies, has proven to significantly improve the health conditions of patients with autism spectrum disorder, muscular dystrophy, cerebral palsy, intellectual disability, learning impairments, moto neuron disease, spinal cord injuries, stroke and traumatic brain injury. Dr. Michel Evaristi Magoti, a consultant physician of Stem Cell Africa and spokesperson for Neurogen, Brain and Spinal Institute for Africa, said the therapy uses stem cell, otherwise known as young, immature or non-specialized cells from the patient's own body to treat him or her. He explained that the stem cell from fat tissues or bone marrow of the patient is injected into the damaged tissue to repair damaged cells, replace cells which cannot be repaired or reproduce new cells needed for the proper function of that tissue. Dr. Magoti said that the treatment method, which is currently being done at the Neurogen Brain and Spinal Institute in New Delhi and Mumbai, India, is devoid of any ethical or moral issues, as it uses cells from the patient to treat him or her. He disclosed this in an interview with DAILY GUIDE on the sidelines of a two-day outreach programme in Accra to create awareness about the treatment. He said the aim of the Institute in Africa is to give families with patients suffering from neurological disorders a new ray of hope and to let them know that there is a way they can be treated. “Our mission is to propagate the news about stem cell therapy and regenerative medicine so that people can have hope and change perception about patients who have these problems,” he added. He indicated that the Institute in Africa is looking at creating family support groups that can help one another so that more Africans can access the treatment at a reduced price. 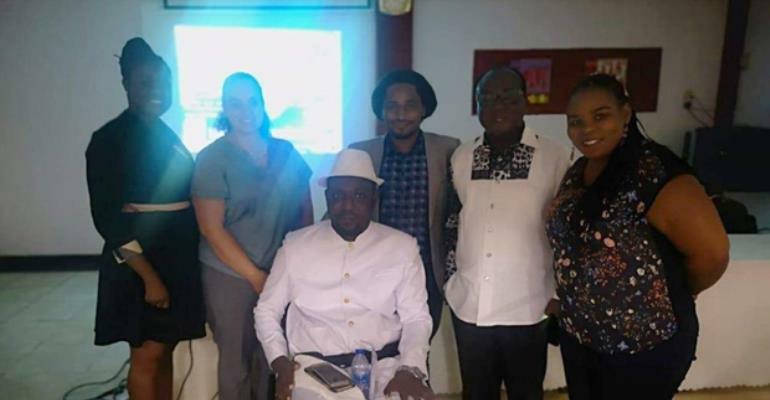 Kwame Baffour Awuah Tabury, a patient who had his stem cell therapy in 2016 in India to treat a spinal cord injury as a result of a car accident, testified of the improvement in his condition after the treatment. The institute has a long-term goal of establishing a centre in Africa to further lesson the cost of the treatment which is about $12,000.